Living Area 5,260 Sq. ft. This classic Main Line fieldstone Colonial Revival is located on one of the most sought-after and picturesque streets in desirable Northside Bryn Mawr. The house is set well off the road and fronted and backed by exhilarating lawns and expansive landscaping. 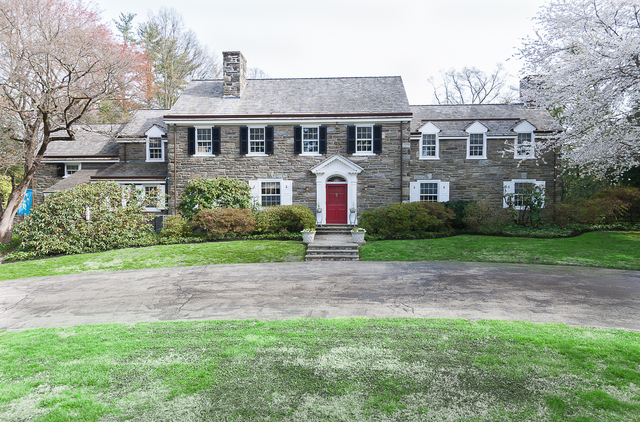 Stone pillars and a graceful curved drive lead to this magnificent home, which is sited on 1.73 acres of perfectly maintained grounds at what is said to be one of the highest elevations in the Lower Merion Township. The rear of the property is almost a park-like setting with gardens and an expansive lawn ending in a wooded stand of trees which act as a privacy screen. It features elegant flagstone terraces with awnings and built cover, a secluded swimming pool, and a charming two room cottage. Built as a pool house, the cottage has strong guest house potential. The well-proportioned stone house is finely crafted with elegant millwork and plaster walls. 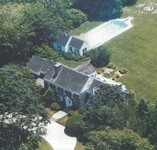 There are hardwood floors throughout the entire house and are particularly outstandingly on display on the first floor. The kitchen cabinetry has been custom-built and designed of bird’s eye maple with raised paneled doors. The exquisite floor is made of pegged, wide-plank, curly cherry wood. The elegant and spacious entry hall boasts rounded arched openings leading to contiguous spaces and French doors opening to the completely private rear of the property. The basement level is fully finished and has an Old World pub atmosphere with high beamed ceilings, paneled walls, large bar, and stone fireplace. The house is generously proportioned with elegant windows, light filled rooms, and exudes the quality of construction and design which is its heritage. With its Old World charm, it is ideal for wonderful family (comprised of any and all ages) living and its outdoor amenities invite recreation and extravagant entertaining in a completely private setting.